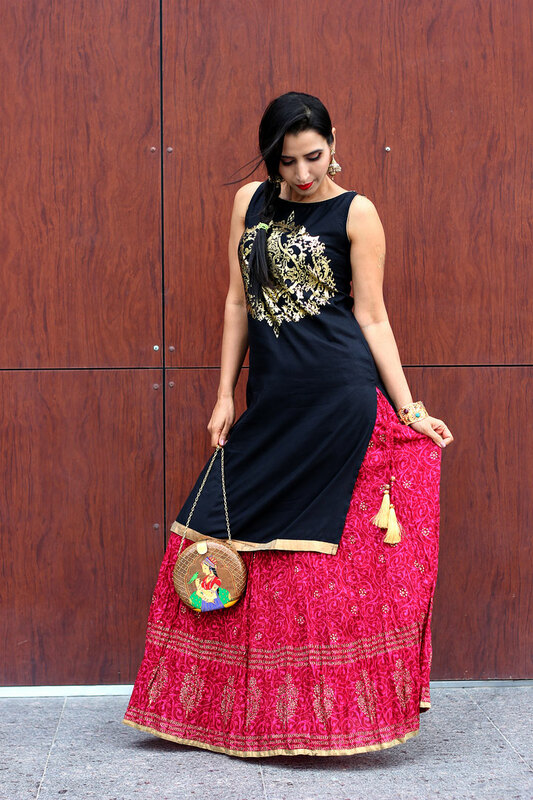 Getting ready for the 2015 Navratri Garba/Dandiya season ?? We have all spruced up to dress our best and be the best. If you are following the color chart this festive season and think you do not have enough in your ethnic collection, then all you have to do is mix and match !! Option 1 - It's time to bring out those comfortable dhoti pants. Pair them with a short kurta and accessories like a waistband that add life to the entire look and you are set to go. 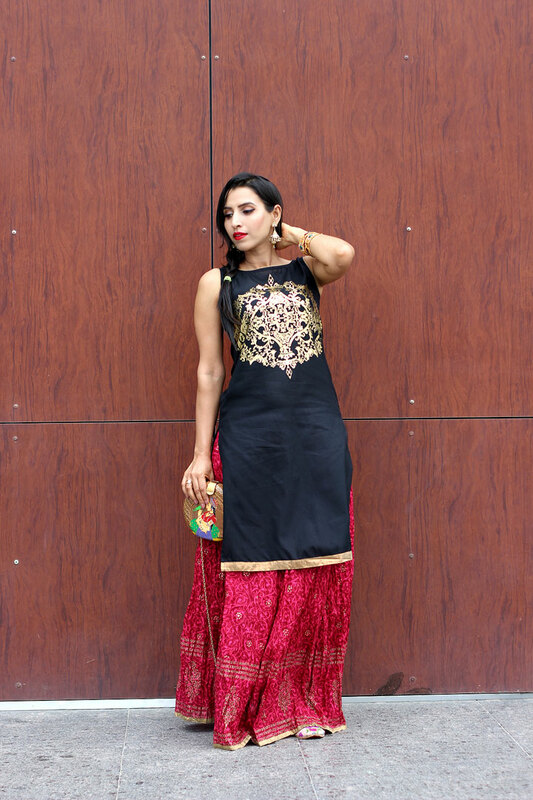 Option 2 - Another hassle-free combination you can try this Navratri is the long kurta and a floor-length skirt. Those who want to ditch the skirt can opt for pallazos. But make sure you pick the right jewellery. STYLE TIP - Flashing tattoos, especially temporary ones, has become a norm during Navratri.